Bueller…Bueller…Bueller… Some of the most memorable words in ’80s movie history. 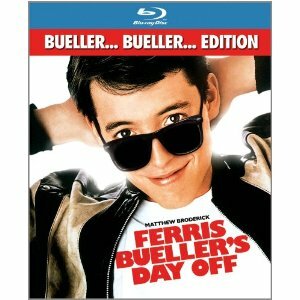 See John Hughe’s classic Ferris Bueller’s Day Off on Blu-ray (the Bueller… Bueller… Edition) now. Watch Matthew Broderick as the fun-loving Ferris skip school and have an unforgettable time in Chicago (while avoiding getting caught). After watching this movie, you may just want to play hookey.